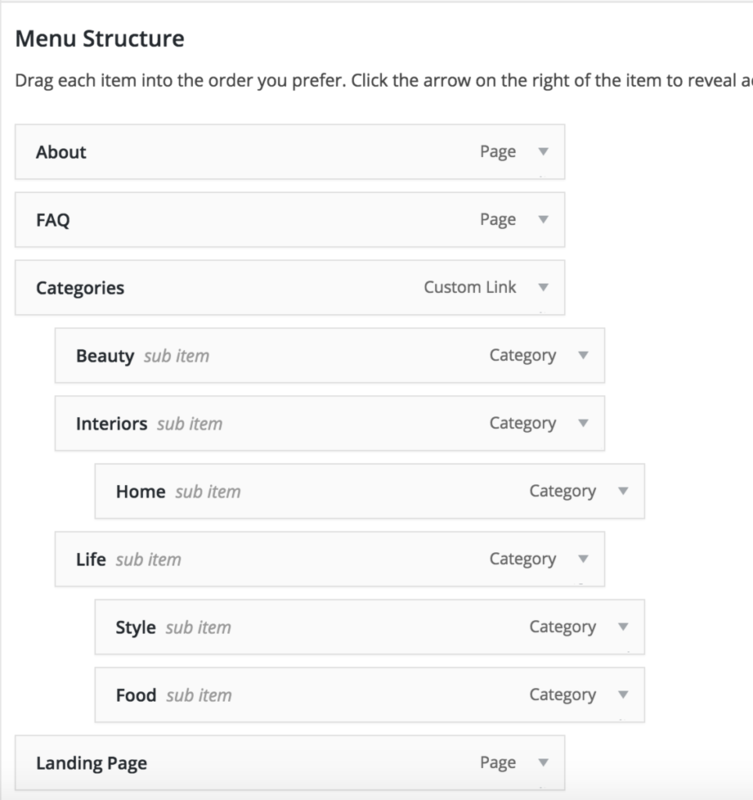 Once you have added pages to your website, you have to create a new menu and add the pages that you would like to show up. 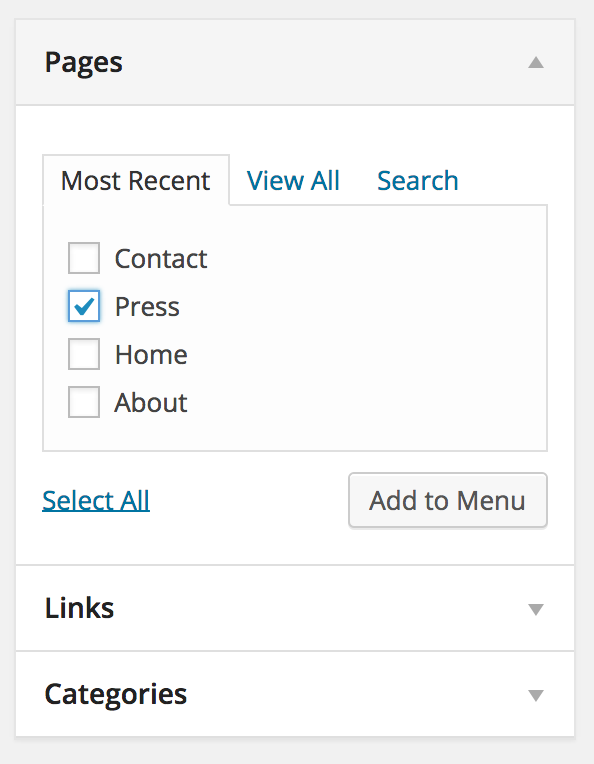 Navigate to Appearance > Menus and click “create a new menu”. Enter the name of your new menu, add the pages you would like from the left side. 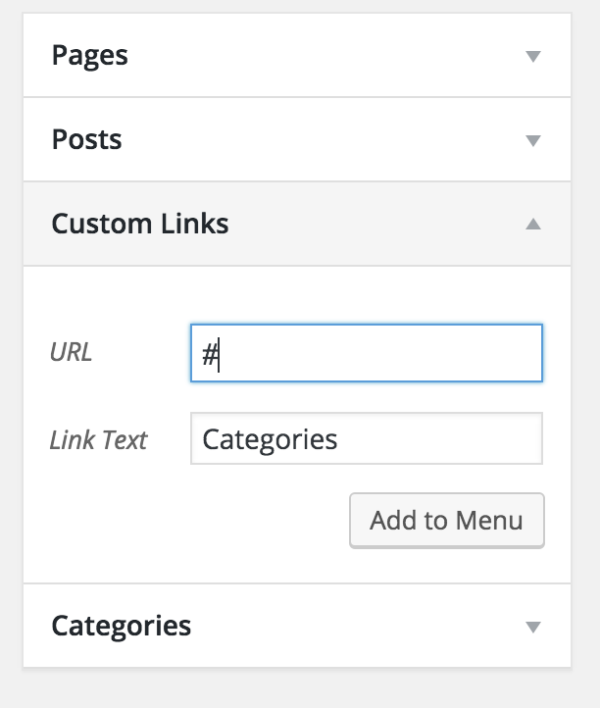 To add a page to your menu, select the page from the left side and then click “Add to Menu”.